NPE 2018 - Direct Recruiters Inc. 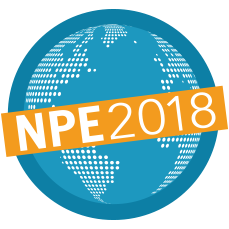 If your business is associated with plastics in any way, then NPE 2018 is your must-attend event. Whether you make plastics, use plastics or recycle plastics, the world’s leading plastics tradeshow and conference allows you to tap into the tools and emerging technologies that are shaping the future. DRI’s David Peterson and his team will be attending. If you would like to meet during the show, contact David at 440-996-0590 or dpeterson@directrecruiters.com. After talking with many individuals at different booths such as Davis-Standard and Milacron at the show, it seemed the overall tone was very positive and the plastics business is very strong right now. With a record-breaking number of around 65,000 attendees, business seemed to be thriving and the evidence of an increasingly high hiring rate was found in the number of new searches our firm received.